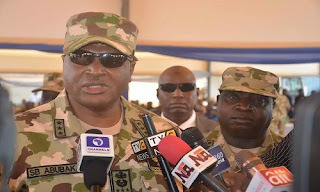 The Chief of Air Staff, Air Marshal Sadique Abubakar, says the Nigerian Air Force has no accurate intelligence on whereabouts of the Chibok girls. Abubakar said this at an interactive session with journalists in Abuja on Saturday. “Honestly we don’t. That is the truth of the matter. Even if you see women that are dressed in hijab, how are you sure they are women; that they are not men? It is only when you get there and they remove the hijab that you now realise that they are men and they have their rifles. “There is no credible intelligence that will specifically tell you that these girls are here”, he stated. 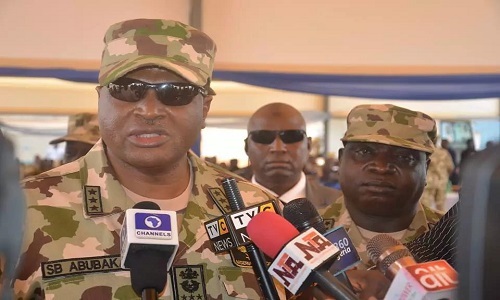 He said the air force flew its planes daily with the hope of sighting the Chibok girls, adding that the military, like other Nigerians, was passionate about them. He said, “There is no day that the sun rises and sets that we do not go out hoping to see these girls. From January this year to August 17, we flew 2,600 hours. About 50 per cent of that was Intelligence Surveillance Reconnaissance. He dismissed the latest Boko Haram video, where the sect displayed some girls, which it claimed were killed by military bombardment, as cheap propaganda. “These guys are just trying to whip up sentiment because they know that every Nigerian is concerned about the girls”, he added.